Conan Doyle&#x2019;s name is synonymous with <i>The Strand</i> magazine, chiefly because of the Sherlock Holmes stories but also due to many of his other contributions, such as the Professor Challenger stories, his articles on spiritualism and fairies, and his coverage of the major battles of World War I. From 1891 until his death in 1930, almost 300 contributions by Doyle were published in <i>The Strand</i>, including 120 stories, 9 serialized novels, and dozens of other items including poetry and interviews. 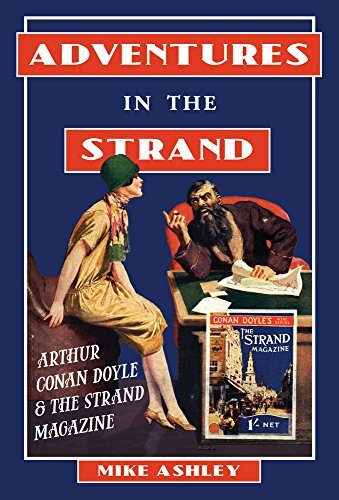 It is impossible fully to appreciate Conan Doyle&#x2019;s artistic development without considering the context of <i>The Strand</i>, as it published almost all of his most memorable and important stories, but it also published essays, commentary and other works that have become unjustly forgotten. Doyle&#x2019;s contributions highlight, for example, his abilities as a sportsman, an interest which frequently found its way into his fiction. This study charts his outlook and views, examines his shifting reputation during his lifetime, and assesses how Doyle&#x2019;s contributions to <i>The Strand</i> fit into his overall output as a writer. Ashley uncovers hidden aspects of Doyle&#x2019;s writings that reveal him to be a more broadly talented writer than he is often given credit for. <b>Mike Ashley </b>is the author and editor of more than 60 books, and one of the foremost historians of popular fiction. His books include <i>The Mammoth Book of New Sherlock Holmes Adventures</i>, <i>The Mammoth Book of Time Travel SF</i>, and <i>Out of this World</i>.